Even prior to the Flint water crisis, the annual cost of lead exposure in Michigan children is approximately was $330 million, $145 million of which is being paid each year by taxpayers. Learn more about the pre-Flint crisis costs of lead exposure in Michigan here. 70% of lead poisoned children in Ingham County live in rental housing, yet no local units of government in Ingham County, including City of Lansing, require lead clearance as part of their rental inspection or licensing programs. This is a preventative measure that could prevent hundreds of lead poisoning cases in Ingham County each year. Click here to learn about how other cities are making sure rental properties are lead-safe in affordable and responsible ways. If you do not qualify for the free program, you can still get your house tested by hiring a certified Lead Inspector/Risk Assessor. Getting your house tested will help you prioritize which areas need work and how to prevent exposure to those areas. See additional details below. Great instructional video at https://www.youtube.com/watch?v=rwyt744iX7Y. If your child has a lead-level of 5 µg/DL or above, you can receive a free lead-safe cleaning supply kit with EPA lead quick-check swabs for your home (kit and swabs valued at $200), provided you participate in a 45 minute informational session. ALL CHILDREN WHO LIVE IN HOMES BUILT BEFORE 1978 NEED TO BE TESTED FOR LEAD, especially between the ages of 0 and 6. Younger children should be tested every 3-6 months, with all well-child visits. If your doctor does not order a lead test with your well-child visit, feel free to bring the them a copy of the testing frequency recommendations supported by the Ingham County Health Department. Ingham healthcare providers can also use the Rx for Lead to help patients understand follow up steps after a lead result in the 5-14 µg/DL range. For help getting health insurance or a doctor, call 517-887-4306. If your child receives a capillary (finger prick) test result at or above 5µg/DL, it is recommended that they receive a veinous (blood draw) test to verify their level. If they continue to test at 5 µg/DL and above, follow the guidelines below regarding nutrition, cleaning, removing sources of lead exposure from the child's environment. Additionally, follow nutritional and cleaning guidelines to help reduce lead levels in your child's blood. 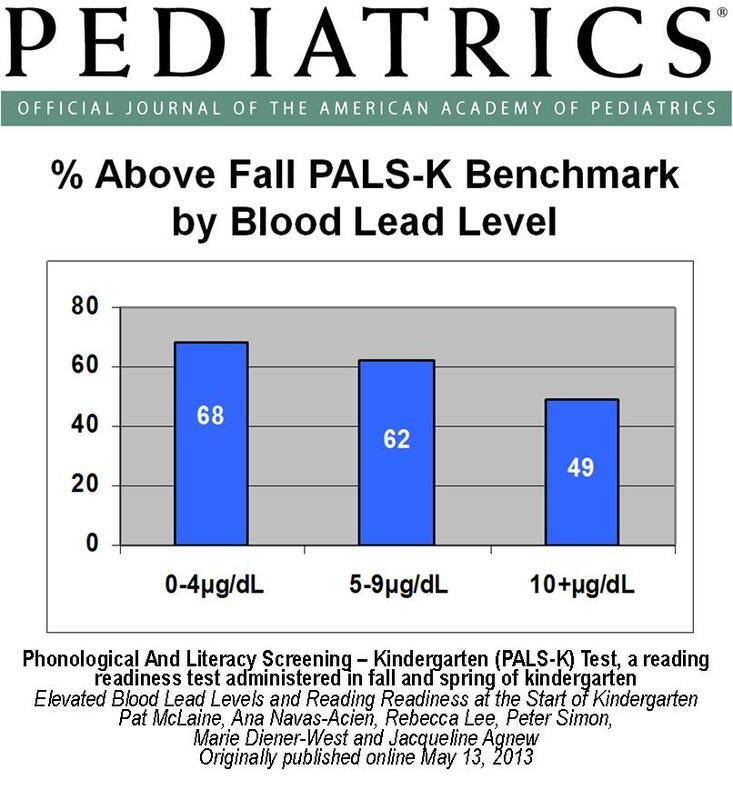 No level of lead in the human body is safe or healthy, especially for children whose brains are developing and can be affected by lead. Striving for the lowest level possible is advised. 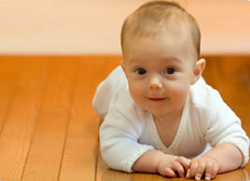 The #1 source of lead hazards is dust from lead paint in homes built before 1978. It only takes a teaspoon of lead dust in a 1200 square foot house to harm a child, and over 60% of homes in Ingham County were built before lead paint was banned in 1978. Click here for a map showing "hot spot" areas for childhood lead poisoning from 2008-2012, and homes made safe through the Lead Safe Lansing program. The "Snapshot of Lead Poisoning in Ingham County" also summarizes the latest data about testing, impacts and prevention efforts. Ingham County Health Department works closely with Michigan Department of Community Health, City of Lansing, and Michigan Alliance for Lead Safe Housing across the "spectrum of prevention" to reduce childhood lead poisoning. In 2010, the Centers for Disease Control changed the "level of concern" regarding Elevated Blood Lead Levels. Previously, interventions were recommended at a level of 10 µg/DL. However, due to impacts on evidence of impairments in learning and behavior at even lower levels, the intervention level was changed to 5 µg/DL. Read more here about these changes from the CDC. These are slightly different kinds of inspections. LI/RA is only looking at the home. EBLL investigation is looking at all possible sources of lead exposure in a child's daily activities in and outside of the home. A Lead Inspection/Risk Assessment typically costs less than a full EBLL investigation. Because the #1 cause of lead poisoning in Michigan is dust from lead paint, a LI/RA will often, though not always, reveal the sources of exposure to hazards. Michigan Department of Community Health offers grants of up to $10,000 to provide inspections and abatement resources. These grants are available for both owner and renter-occupied properties. Income restrictions apply to residents of the property. If your child has an EBLL at or above 10 µg/DL, an Ingham County Public Health Nurse and/or EBLL staff from Michigan Department of Community Health will contact you to conduct an EBLL assessment of your home (at no charge to you). Depending on the level, other medical interventions may be immediately necessary. State law requires owners of rental property to make property lead-safe if a child occupying the property is found to have an EBLL of 10µg/DL as a result of hazards in the property. State and county officials enforce this rule and will assist in cases to ensure compliance. Enforcement of the Michigan Public Act 434 of 2004 is handled by Michigan Department of Community Health and Ingham County Prosecutor. To report a case, contact Wes Priem, priemw@michigan.gov; 517-335-9390. If you do not meet the income requirements for the state grant program and you want to get your house tested, please check the list of certified Lead Inspector/Risk Assessors is at http://www.michigan.gov/documents/mdch/Assessors_494359_7.pdf. Some of companies will work with families who do not qualify for grants to make sure they can get their home tested. Contractors, property managers and landlords who disturb lead-based paint in the process of painting, renovating or repairing homes, schools or daycare centers built before 1978 MUST be "RRP certified" and follow "RRP lead safe work practices". "Renovator Certification" involves a one-day class and application every five years and compliance with required steps to contain the work area, minimize dust and thoroughly clean up every day. To get training visit www.epa.gov/lead and select "Locate an RRP Training Class or Provider". Landlords or contractors working without certification or compliance with approved practices can be punished with fines of up to $37,500 per incident, per day and lawsuits initiated by consumers and/or EPA. PDF Flyer of information for contractors, property managers, landlords and homeowners. To report a landlord for failing to hire Lead Safe Certified contractors, or to report contractors for failing to work "lead safe", complete and submit an RRP Rule Violation Form or contact the following office at the U.S. Environmental Protection Agency, and/or contact Wes Priem, MDCH Healthy Homes Section Manager at priemw@michigan.gov. The absence of symptoms does NOT mean a child does not have lead poisoning. Most children with lead poisoning show no symptoms. Lead can cause nervous system and kidney damage. Lead can lead to learning disabilities, attention deficit disorder, and decreased intelligence. Lead can cause decreased muscle and bone growth, and poor muscle coordination. Lead can cause hearing damage. Pregnant women with high lead levels in their system would expose a fetus during development. How Do I Find Out If MY CHILD has Lead Poisoning? The ONLY way to know for sure if your child has lead poisoning is with a blood test. Testing is available through your doctor’s office or the Ingham County Health Department. Call (517)887-4322 for more information.